Whether you are making paper or converting it to tissue for family care products you use machinery with many hazards. 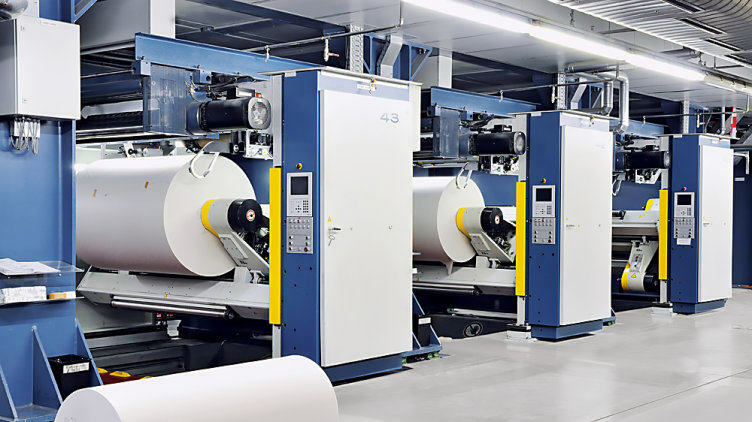 The threading of paper, the high rotation speed and the vast size of the machines create risks that are challenging to achieve machine safety. In your competitive global business you must achieve machine safety with a high level of availability and productivity. We help you succeed. "The service provided by Pilz was extraordinarily good. All modifications and software updates were quickly implemented and the engineers from Pilz gave us excellent technical support." With our machine safety lifecycle we help manufacturers of tissue and paper to achieve machine safety goals. For the dangerous intervention with machines, for example after a paper break or a re-threading, special safeguarding systems are required: controlling crawl speeds, fixed guardings, "hold to run” or pre start Alarms? we will design the right solution for you, based on our risk assessment and safety concept. By the interpretation and application of relevant C-norms for your industry, like for example EN 1010 and EN 1034, we guarantee that your machines will meet the statutory requirements and work efficiently.